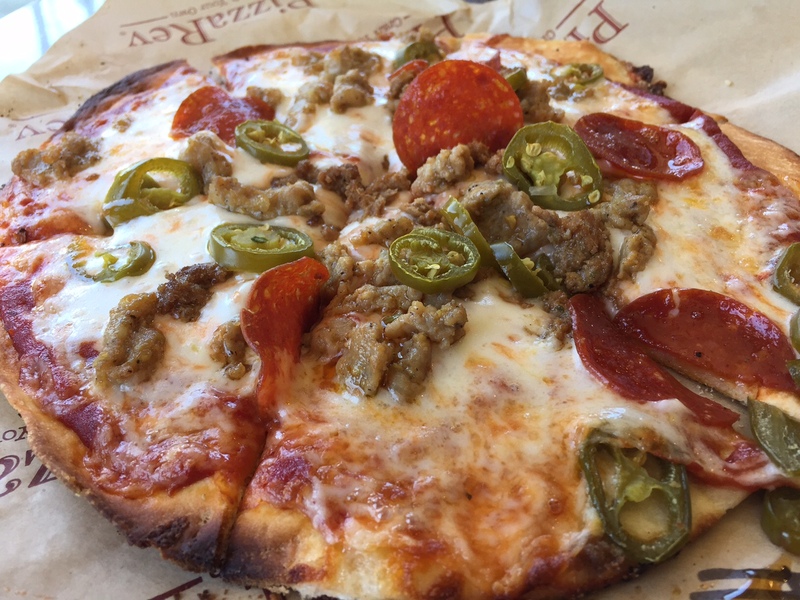 I know that there are a lot of build-your-own fast-casual pizza places popping up all over Orange County recently with the promise of pizza in less than 5 minutes. 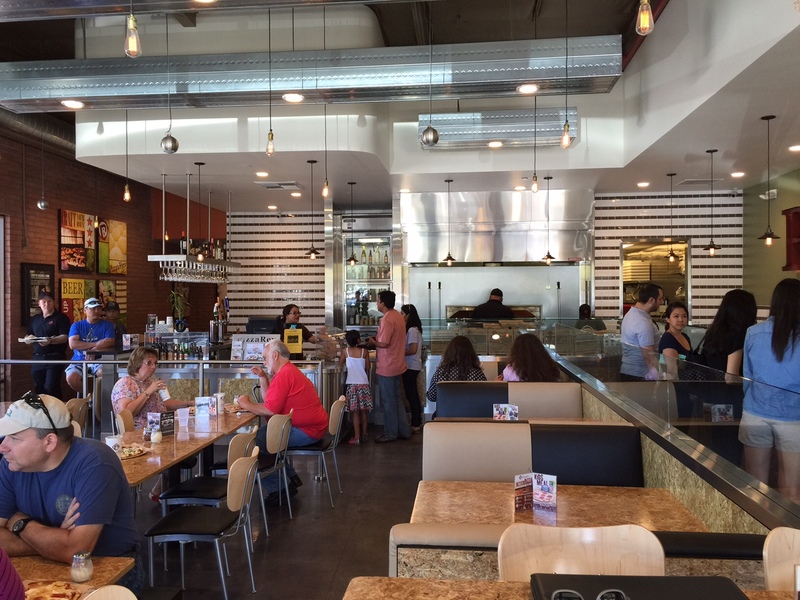 After having the chance to dine at Pizza Rev in La Habra, I now know that not all of these places and concepts are created equal. 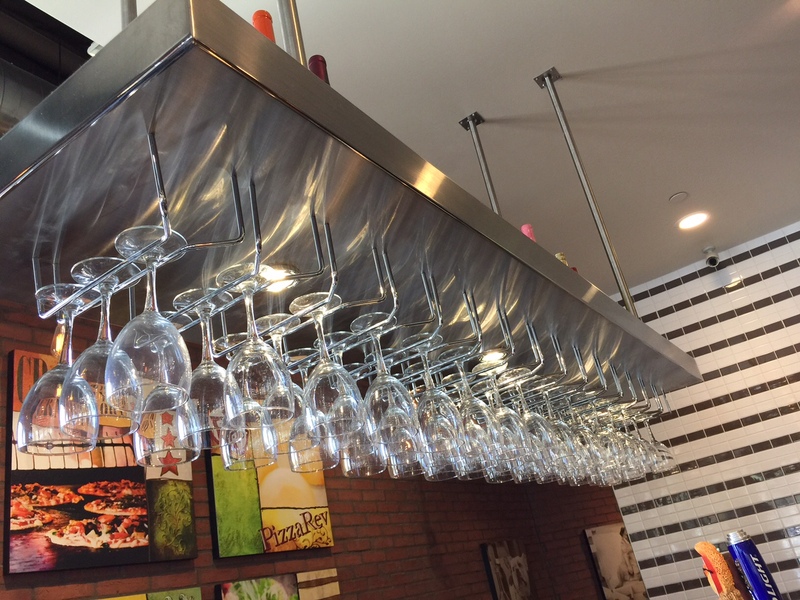 When I arrived at Pizza Rev with my younger son, I immediately noticed how clean and modern the dining area was. 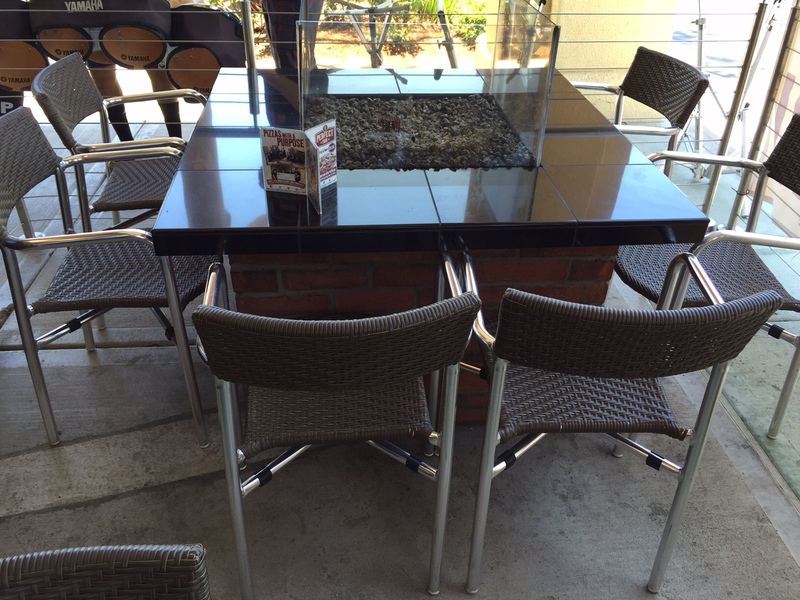 The La Habra location also has outside seating with a fire pit, for those that enjoy eating outdoors. 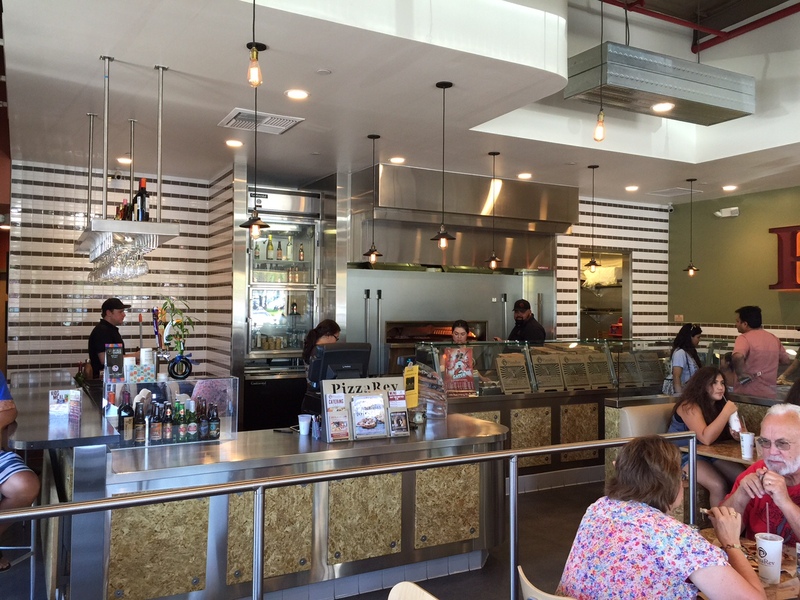 I entered the restaurant and got a chance to view the assembly line where all of the ingredients are available for customers to create custom pizza creations. If you are not feeling like creating your pizza, don’t worry. 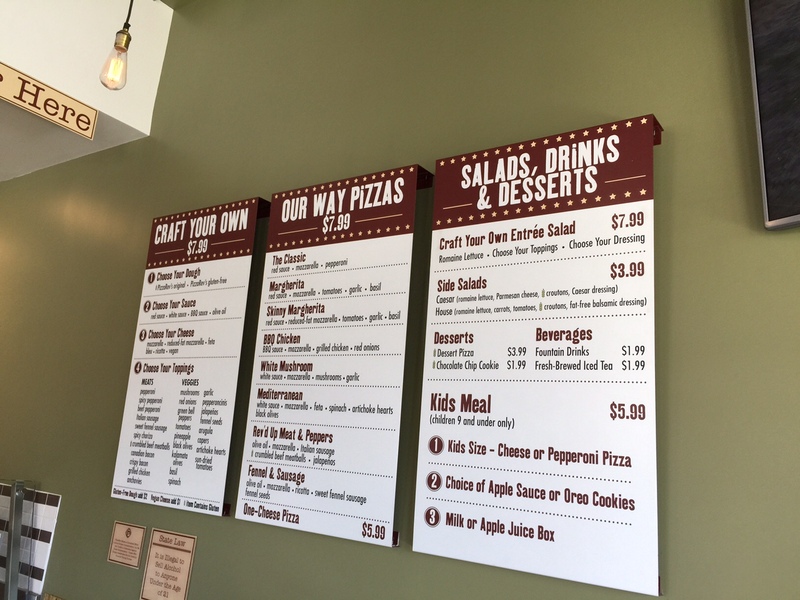 Pizza Rev has you covered with their specialty pizza menu. I ordered the meat and peppers pizza and added pepperoni. 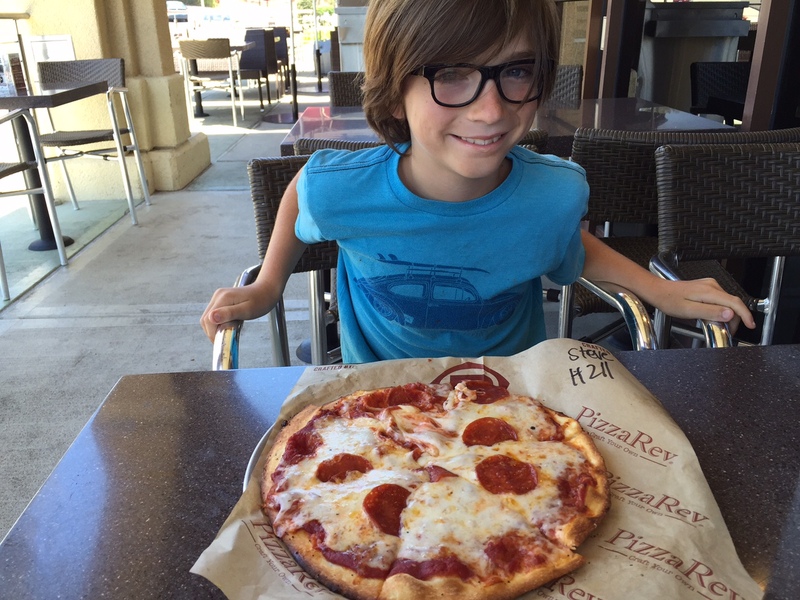 My son ordered his favorite classic pizza, a pineapple, and cheese pizza. 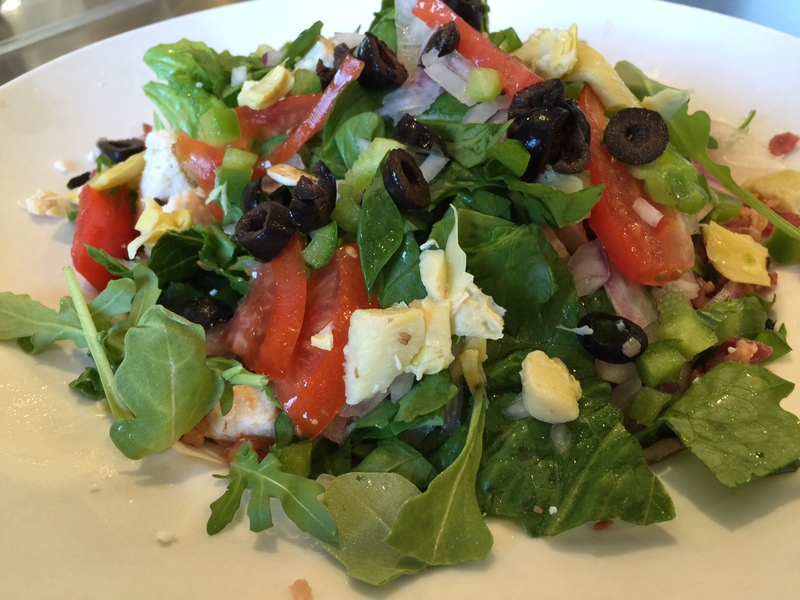 We also enjoyed a handcrafted salad with lots of great fresh veggies. 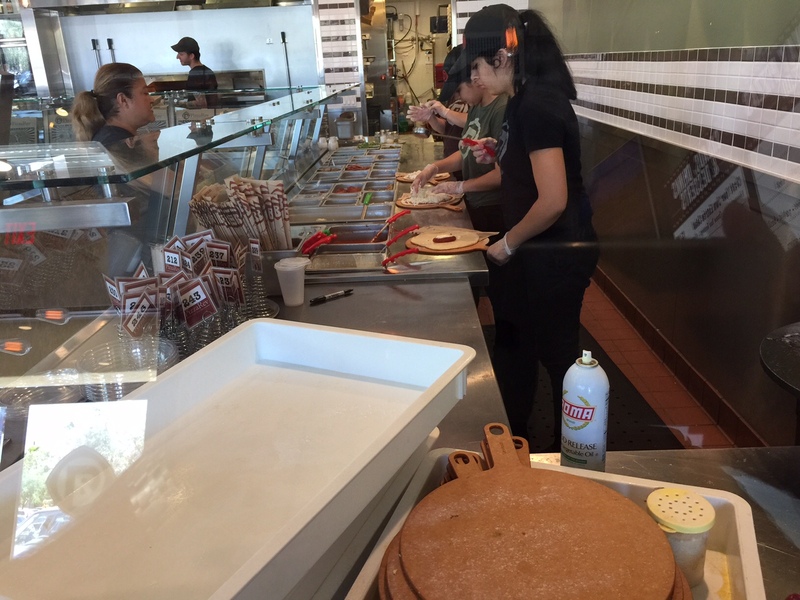 All of the ingredients are prepped and made fresh in house daily. When the Pizza’s arrived, we fell in love at first bite. 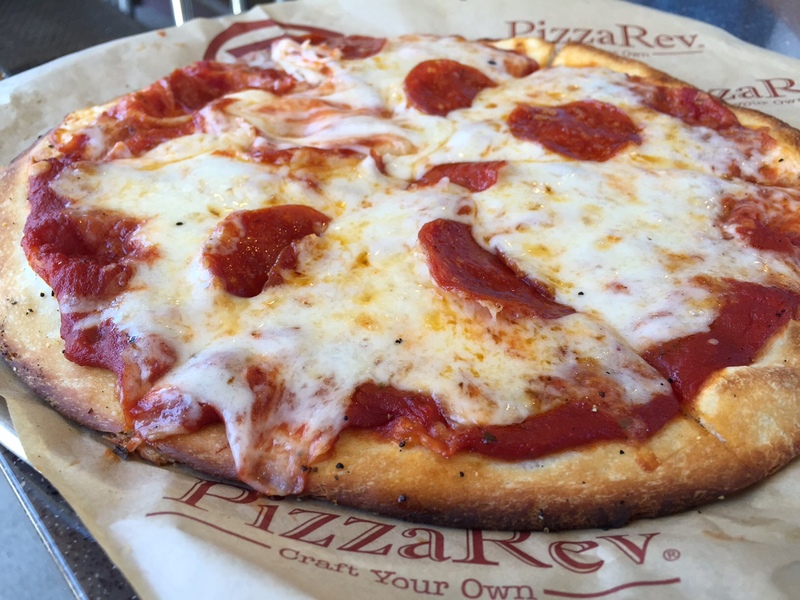 I immediately was able to see that Pizza Rev is different from all other fast-casual pizza places based on the cheese and other fine ingredients that are used to make our meal. They are committed to providing not only a great dining experience but also a quality meal for you or your family to enjoy. 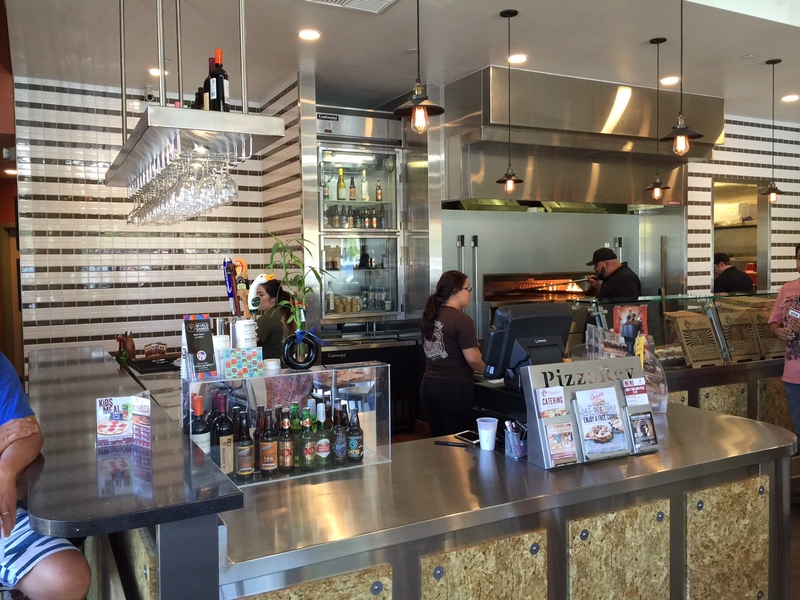 Pizza Rev not only makes delicious food but they are help support the community. 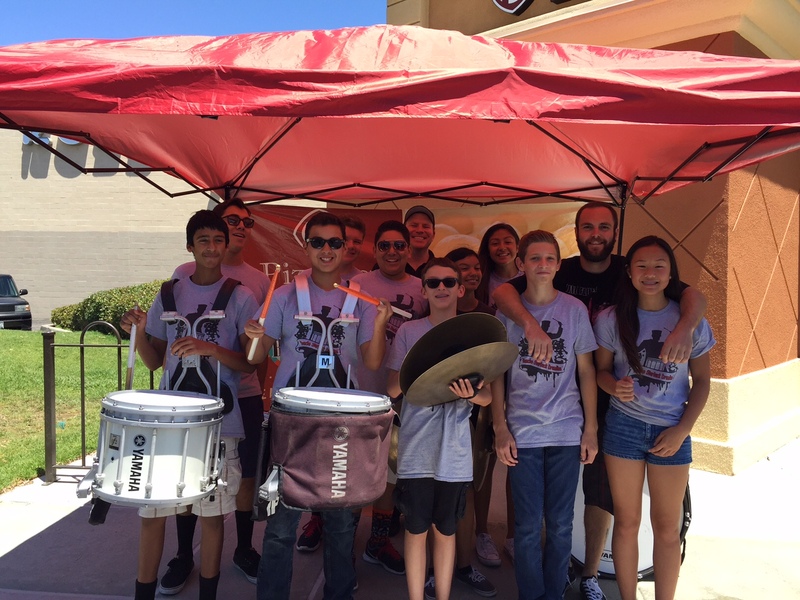 While we were dining, a local band was performing and doing a fundraiser at the restaurant. 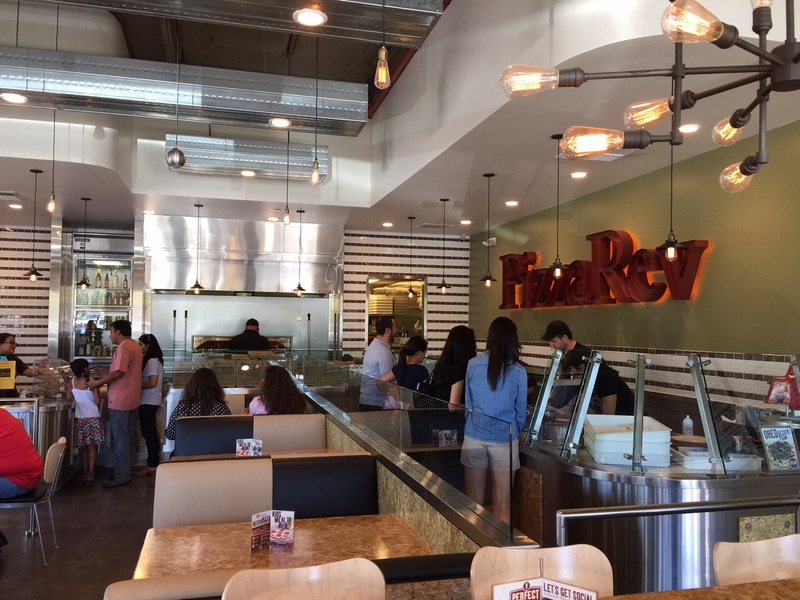 Try Pizza Rev and see for yourself what we now have experienced and feel is the best of the best in the fast-casual pizza concepts available. 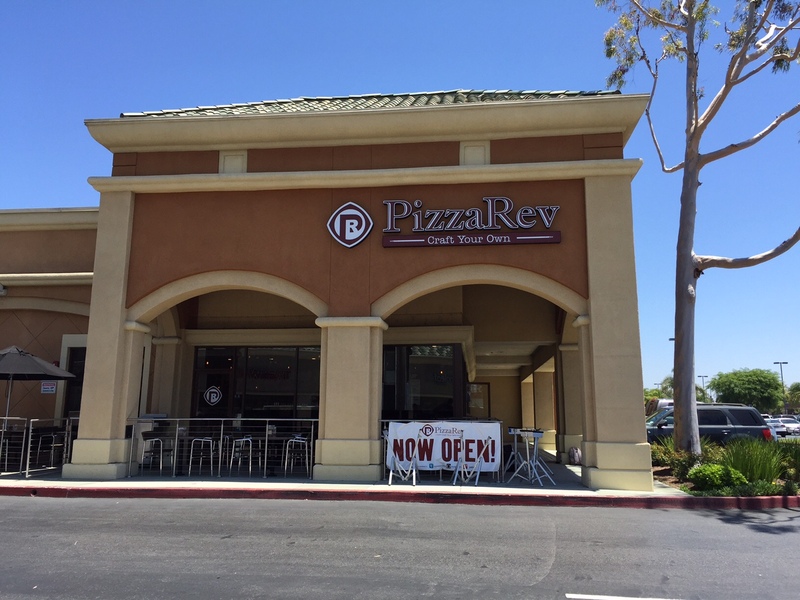 My only wish is we get a location soon in South Orange County…hint..hint..Pizza Rev.